We must remember that we are finite humans and can not fathom the depths of the infinite GOD and His “unbounded love” and “fathomless grace”! By His grace God offers us the gift of salvation through the faith He gives us. 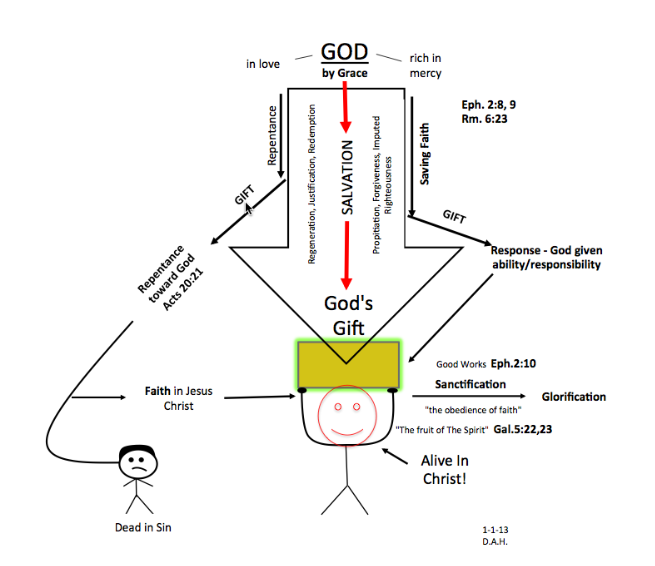 Man is responsible to respond to God’s offer by receiving His gift of salvation utilizing his God-given “freedom”. Man can harden his heart by using his God-given “freedom” to reject God’s gracious gift.